The beauty of having eyelash extensions is the fact that you can wake up and instantly look and feel flawless! Some concerns that lash wearers might have is the idea of showering. This is a very common worry as we all want our lashes to stay on for as long as possible. The great part about lash extensions is that you do not have to change up your shower routine at all! If you have just received a full set of fresh lashes, or a fill, you will want to wait 24-48 hours before running them under water. The lash adhesive is waterproof, and meant for these kind of activities, but since the glue is still fresh it needs time to fully sit. This is a standard time period before fully allowing water to run through them. When showering, allow as much water to run through your lash extensions as you want because they too need to be cleaned. There can easily be unnoticeable bacteria or dirt stuck in between your extensions. Making sure that you clean your lashes is just as important as cleaning your body. You want to make sure you avoid heavy water pressure on your extensions. You should keep in mind that any activity that involves steam, or heat, will loosen the bond of your lash extensions. 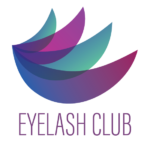 Activities such as hot yoga, or going into a sauna are not usually recommended when your lashes are freshly applied. The more moisture you allow on your extensions the more chance of the adhesive wearing down. This is completely normal as any lash glue is not permanent. These are some tips to keep in mind with lash extensions.